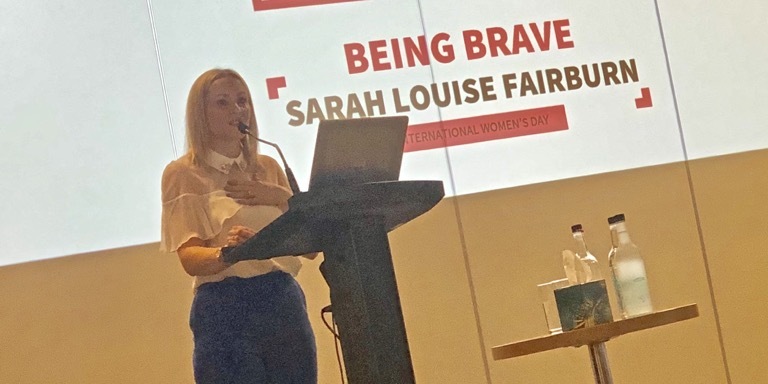 An event marking International Women’s Day saw Sarah Louise Fairburn take to the stage with a group of inspiring Lincolnshire women. Invited to be one of the keynote speakers at the Lincolnshire Showground lunch, Sarah Louise spoke about bravery in women, her life journey, family and career. Fellow speakers included Alison Ballard, general manager for BAE Systems at RAF Coningsby; Syreeta Challinger, founder of Moments of Sense & Style; Kelly Hewson Fisher of Anglian Water and Paula Short, co-founder of Beauty Boulevard. Local celebrity chef Rachel Green hosted the proceedings which celebrated women working in agriculture or who have achieved something fantastic from their Lincolnshire roots.